You Won’t Believe It! 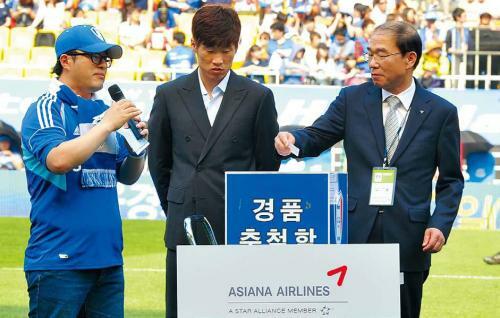 Here Are the Full Details About Football Player Park Ji-sung’s Net Worth! Korean Football Player Park Ji-sung’s Net Worth will Shock You! How Much is it? He is one of the legends of Korean men football. Along with the Korean national football team, he brought back home a bronze medal at the FIFA World Cup in 2002. Who is this guy that we’re going to talk about? He’s none other than Park Ji-sung from the Queen Park Rangers football club a.k.a QPR FC’s legend. Oh, did I just mention QPR FC? Ah, right. Before he joined the English football club, he played for the Japanese football team named Kyoto Purple Sanga back then in 2000. He was only 19 years old when he was playing for this club, right after he was named a rising star of the AFC Asian Cup. In the meantime, his career began to shine, especially after he successfully brought the Korea national football team to the semi-final of the World Cup in 2002, in Japan and Korea. His current coach in the Korean national football team, Guus Hiddink, invited him to join the Dutch football club, PSV Eindhoven, not long after. There he started his journey playing in Europe. After many brilliant performances in PSV Eindhoven that brought his name to be nominated for the UEFA Best Forward award in 2005, he then moved to a club called Manchester United, one of the toughest clubs in the Premier League, a top-level English football league. By joining Manchester United, his fame and popularity began to rise and rise again in his hometown, Korea. He became one of the legends of Korean football. 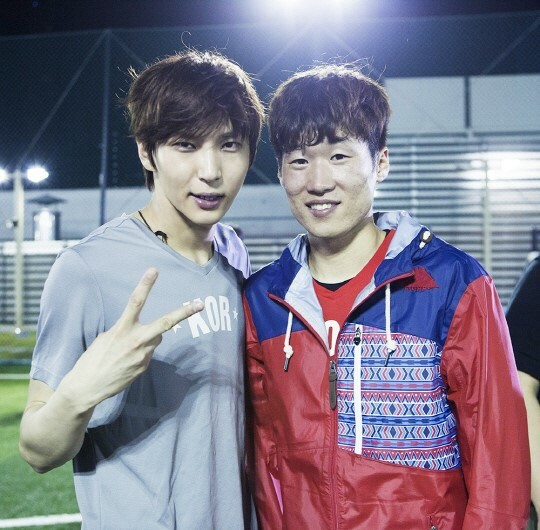 He also inspires a lot of Korean people who want to be football players. 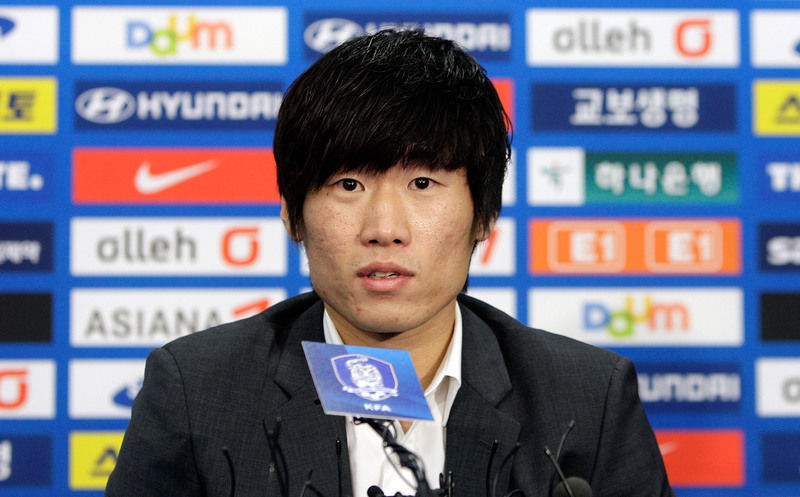 Park Ji-sung also contributed to Manchester United’s popularity rising in Korea, as their Korean fans increased after he joined the club. And not only the common folk from Korea but also our Korean idols. He made a special appearance in the popular show Running Man, where he played a game of futsal together with famous Korean idols who are football enthusiasts, such as BTOB’s Min-hyuk, VIXX’s Leo, HIGHLIGHT’s Gi-kwang, Yo-seob, Doo-joon, and others. Enough with the introduction, now we’re going to talk about how much is this amazing Asian player worth. As one of the top footballers, Park Ji-sung’s name has found its place among top 10 wealthiest athletes in Korea, even after he declared retirement in 2014. His estimated net worth is $30 Million. He has signed a 10-year-long endorsement contract with Nike that is worth $475,000 per year, which is the highest-paying contract for an Asian player ever. Not only that, but he was also named as the ambassador of Asiana Airlines, one of the biggest airlines in Korea for around a decade and has extended the contract for another year. He also became the ambassador of his former club before moving to QPR, Manchester United, in October 2014. A lot of famous brands want him to promote their products because Park Ji-sung himself is one of the best midfielders in Asia, and they want him to inspire a lot of football players to shine and work harder to become better players, especially in Korea and Asia. With his outstanding talent and all of his achievements, no wonder he became one of the wealthiest athletes in Korea that is worth $30 Million. Let Park Ji-sung be your inspiration to walk a successful path even when you’re not a football player like him.